The INSEAD Admissions Test is a comprehensive exam covering multiple areas that can be difficult for many who do not prepare in advance. 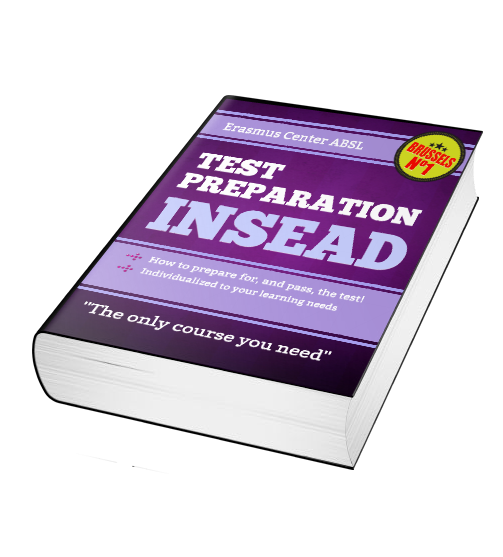 INSEAD recommends preparation for the test thru study and practice before taking the exam. Our INSEAD preparation is individualized to your learning needs as determined by a free diagnostic exam. If you do not already have your English Certification we will also offer a free diagnostic test for your English Proficiency Exam. Based on your diagnostic test results, our Education Consultants will recommend a paid tutoring plan to help you get the score you need on the exam. Erasmus Center also offers Free Seminars on test preparation and admissions topics. Why is personal tutoring better than an online course? INSEAD The Business School for the World® and INSEAD are terms used for and copyrighted by INSEAD which is not part of Erasmus Center, ASBL. INSEAD does not endorse Erasmus Center, ASBL publications, services or products.